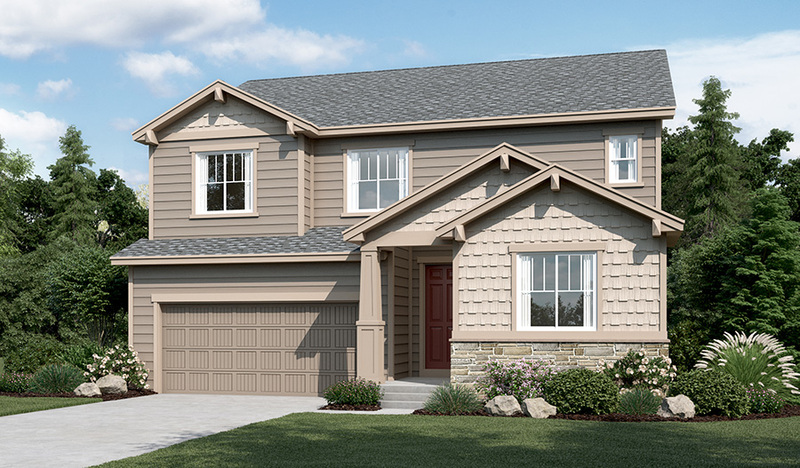 Main-floor highlights of this new model home include a welcoming bedroom and full bath off the entry, a spacious great room, a relaxing sunroom with covered patio and a well-appointed kitchen with a central island, walk-in pantry and convenient pocket office. The upstairs boasts a versatile loft, a centrally located laundry room, two secondary bedrooms with a shared full bath and an elegant master suite with an immense walk-in closet and deluxe bath with separate tub and shower. The finished basement provides additional space for entertaining with a sprawling rec room, fifth bedroom with walk-in closet, full bath and plenty of storage space. A covered front porch and mudroom off the 3-car garage complete this home.